IAS is a digital company with 450 employees in 20 offices worldwide. They help people reach their digital potential. We are a print management company. We rolled out their new brand by matching their printed products to their new digital color palette. 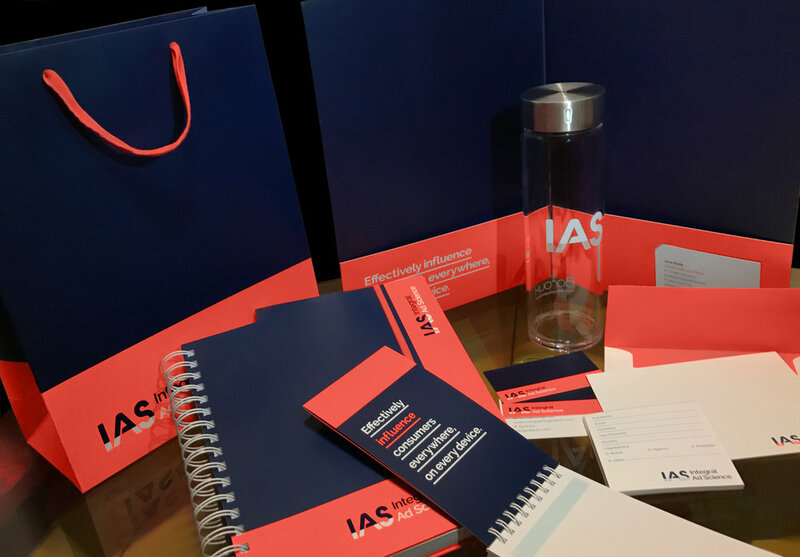 Every piece of collateral material from new business cards, pocket folders, note books, memo pads, banners, gift bags to water bottles were policed and managed from concept through delivery to all of their employees by the Actualizers.